One of the best films of last year (and, probably, ever) was The LEGO Movie. As you might have guessed, our dear friends in Denmark seized upon the popularity of the film and immediately brought out all the fun vehicles and scenes from the film in actual LEGO format, allowing us all to get involved. We had a go with one such set, the Ice Cream Machine (#70804). The first thing that grabs you about this 350 piece set is that it belongs to the increasingly popular 2-in-1 range of models from LEGO. 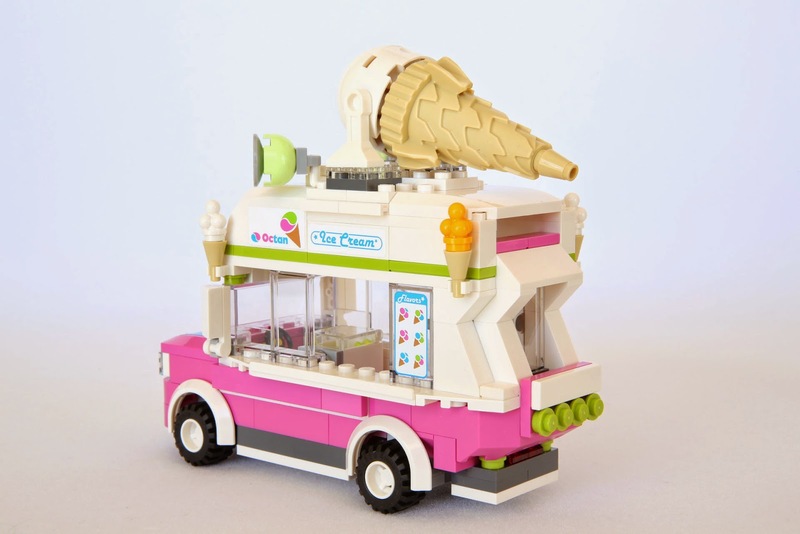 Basically you can use the same set of bricks to build two entirely different things, which serves this set very well as, in the film, an ice cream van quickly rebuilds itself into a comic-flying, missile-blasting, plane. There are two separate sets of instructions that greet you as you open the sizable box, which begs the question; which do you build first? For sheer visual appeal and craziness we (obviously) went for the flying model, complete with huge ice cream cannon. Building it was a little strange, as clearly all the parts were intended to make another whole model, so you fix wheels for engines, lolly pops for missiles, and windows with ice cream stickers for a cockpit. But of course this is all intentional, and if you've seen the movie (which surely you must have by now) you'll get the in-joke about random and chaotic cars and planes that kids build with their LEGO. 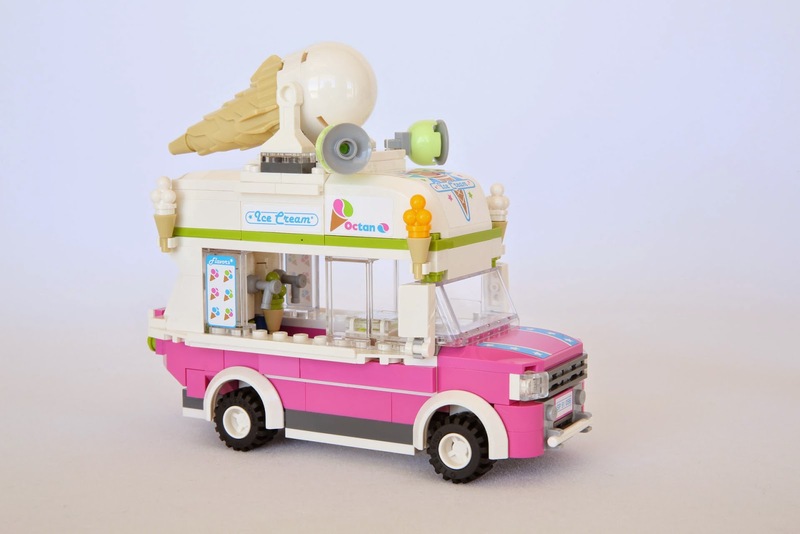 There are some nice pieces included with the Ice Cream Machine, and lots of pink bricks which seem to be pretty rare outside of the LEGO Friends range. We love the Micro Manager robot, which gets an entire little instruction booklet to himself, and especially think the drop down flick-fire missile cartridge is ingenious. All in all, it took us about a good solid hour to build this thing, with no mistakes along the way. It really is a ground-up build, therefore the instructions are pretty easy to follow, even for a LEGO novice. You're well placed for minifigures with this set as well, getting three included. There are the two ice cream vendors, Jo and Mike, as well as Cardio Carrie, the jogger from the film who gets chased by Micro Manager. We love the printed detail on all three minifigs, particularly the name tags on Jo and Mike. So a fairly easy set that lets kids choose what toy they'd like to play with first. Once broken down the parts will no doubt find a home in other crazy cars and vehicles, and the minifigures are nice and seem random enough to be used for anything. We look forward to reviewing other sets from The LEGO Movie!